During the Sun’s transit through Pisces, an image and voice that emerges from the ether is that of Blanche DuBois from Tennessee Williams’ most famous play, A Streetcar Named Desire. Blanche is a woman lost in the Piscean realm, an ego identity dissolving into the abyss, speaking from outside of time and mind, and fading into fantasy. Nevertheless, Blanche’s words haunt with such heart-wrenching truth at times that she seems as real as any historical character. Her lilting confusion followed by oracular wisdom gives her a ghostly presence. She is at once lost in the abyss and yet from that misty dimension she is able to better understand humanity than the majority of the living. 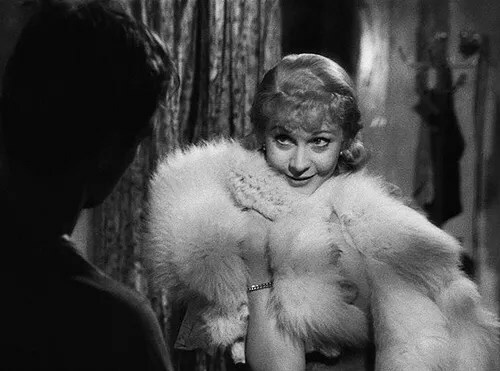 This week, with a waning Moon and the Sun in Pisces, the melancholy beauty of Blanche DuBois resounds! During Pisces season, you are immersed in that power of emergent consciousness, where the interdependence of all life is perceived and the limitless and vast potential of the multiverse fluidly ebbs in and out of your experience. Everything has a message for you and synchronicity feels less like puzzle pieces fitting together and more like past, present, and future braiding together into days of deja vu and dreamtime. With Jupiter and the North Node in Virgo, opposing all the planetary motion through Pisces, you will be urged to remember that you are still the creative consciousness that shapes these multi-layered moments. Therefore, this is an excellent time to really consider the health of the food that you eat, the intention of the information you consume, and the level of company that you keep. All of these energies are what you require to live and grow and the quality of these sources of nourishment will greatly enhance or debilitate the quality of your experience. Take the time to provide yourself with nothing but the best in all these categories and feel how much cleaner your internal ocean of life, love and memory becomes. Pisces understands that the BIG changes that you want in your life all begin with many little changes, tiny ripples in the right direction that eventually alter the current. And the miracles that you wish to see will often be missed if you refuse to acknowledge slow motion. The best use of Pisces season is therefore spent building the inner temple, meditating, and letting energy flow in and out of you without calculation. This week the Moon is waning between the signs of Sagittarius and Aquarius, preparing for the dramatic eclipse in Pisces next week. This week is a time for releasing, relenting, and relinquishing the rigidity of mind that keeps you held back. are just a few examples of the mentalities that you can let go of during this waning moon phase. Monday is the leap day of the leap year. On this day, Venus in Aquarius will sextile Saturn in Sagittarius, offering a moment where you can make a huge philosophical jump or transmute a bitter emotion into sweet acceptance. Wherever you have been faithless, you can now feel the most glorious optimism and take a giant leap! By Wednesday, Venus in Aquarius will sextile Uranus in Aries, lending you a truly revolutionary hand in whatever game you are playing. The storming of the Bastille is an image that comes to mind here! Whatever idealism that you are in love with right now will become supported by an unstoppable force of will, making it possible for you to finally free yourself from confinement and/or boredom. Perhaps you will simply get off the internet and take a leisurely walk out in nature. No matter what you do, the important thing is that you identify your oppressor and neutralize its power to hold you captive. After all, the thought police are not really around just yet. You are still free to let your thoughts wander and experience divinity in the warmth of the sun upon your face. By Friday, Mercury in Aquarius will square Mars in Scorpio which is a day when your desire for conquest and your intellectual justifications for that desire will have a major clash. This is a day when your pursuit of a lover may turn into an explosive drama. Or perhaps, a competition you are in with someone in your life will be revealed as petty and manipulative. Squares such as these are here to remind you that if your heart is not the true leader of your thoughts and actions, then your world can easily become a microcosm of war, misery and destruction. When you don’t listen to your heart, you have no one to blame but yourself for your troubles. 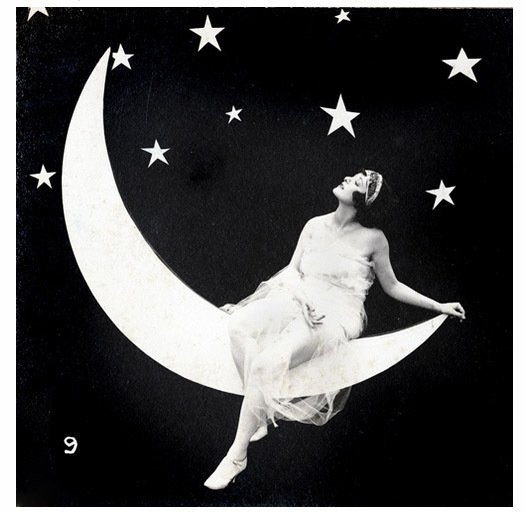 By Saturday, Mercury transitions into Pisces, softening ecstatic intellectualism into the interpretation of dreams. Likewise, Mars will move into Sagittarius, where its pillaging spirit of ravenous desire will turn its mind towards an adventurous quest for good humor and sacred experience. The Sun in Pisces will also square Saturn in Sagittarius this day, illuminating the forms of extremism which have found safe harbor in your mind. With brazen honesty, you may discover that your opinions and beliefs have led you into a trap of ignorance that is hurting your ability to care about other people. These traps are always wrapped in righteous anger and are therefore difficult to leave for want of that pleasurable high of arrogance. This may not be the day that you totally get over yourself, but at least you will get a glimpse of the possibility that you should. But maybe you have wasted enough breath and pumped enough adrenaline through your blood over this issue to last a lifetime and you can let it rest now. On Sunday, the Sun in Pisces will sextile Pluto in Capricorn, which will settle your spirits into a feeling of empowerment in whatever position you currently hold in life. There is some good work that you can do no matter where you are and you will be able to truly feel that on Sunday. It is often said that gratitude is the only feeling that allows you to continue to receive, and luckily on Sunday the feeling of gratitude will be easier to touch and taste. Any momentary acknowledgement of this feeling will nourish your soul and give you a much better chance of aligning with better people and circumstances. The Ace of Wands describes an optimistic and creative flourishing in your life at the beginning of the week. An Ace in the tarot signifies new beginnings, so perhaps the form that this energy is leading towards is not yet known. However, a brimming passion for life always results in a fountain of joy! The leap day of the leap year brings you its eccentric and rarified gifts! The Devil reversed comes up in the middle of the week, and refers to that energy of rebelling against your oppression. The Devil card in this case represents the subjective experience of your shadow-side, your nightmares, and your most harmful conditioning. Therefore, in the middle of the week, you will get a chance to reconcile some pain and sorrow, and make a huge impact on the quality of your life by liberating yourself from some lingering form of subjugation. The classic examples of addiction and self-hatred apply here, but there are very subtle forms that these demons appear in which you may now be intuitive enough to recognize and finally excise from your life. The Queen of Cups promises that the tension created by all those squaring planets during the weekend will be greatly softened by the nature of Piscean feeling and its receptivity to bliss. The border between pleasure and pain is mutable, and the yearning for self-development will therefore be quite rewarding this weekend. Sunday’s sextile between Pluto and the Sun will very likely supercede anything that was brought up by the squares, so you can rest assured that you will feel emotionally supported and healed. It is both the beauty and the tragedy of life that moves you, and the Queen of Cups is the ruler of this understanding which ultimately transcends duality. That being said, this weekend will most likely maintain the typical experience of duality, but it is the fleeting glimpses of higher perspectives on emotions that will inspire you to keep believing in the beautiful dream that is your life. If you need more perspective…BOOK A PRIVATE CONSULTATION WITH ME HERE!